 If you have ever had the chance to pick a piece of fruit straight from the tree and taste its freshness at peak flavor, you can understand the goal of Ripe to You®. As growers of multiple citrus varieties, we wanted to bring that freshness and flavor to the consumer when we started in 1988, and we take great concern to continue with that passion to this day. It may not seem too difficult to harvest the fruit at the optimum time, but even a week can make a huge difference. Patience is a great virtue to have when striving to serve our customers with citrus at its ideal flavor. The formula isn’t rocket science, but it can be challenging with a demanding marketplace. This continues to set us apart from the large producers that many are familiar with. We continue to stay dedicated to fulfilling our customer’s needs while maintaining the Ripe to You® standards. We’ve grown in volume over the years by partnering with some associate growers who appreciate our philosophy. This has allowed us to reach many more areas with our citrus, and we continue to cultivate new business relationships, so our fans have a greater chance of finding Ripe to You® products in their local markets. Enjoy exploring our citrus on this site, and we hope this inspires you to try our citrus! Grow great tasting fruit, pick it only when it is ready, and deliver it to the customer at the peak of flavor proving that it is “Ripe to You®.” We trust you will taste the difference! Fruition Sales, Inc., was developed as the exclusive sales and marketing company for Ripe to You® citrus and associate growers. This in-house sales company meets the needs of wholesale, retail and online customers. As the business has grown and the ideas have continued to evolve, the goal has remained the same. Ripe to You® offers customers new and exciting varieties of citrus, as well as the citrus they remember from childhood.